?What are the most common kinds of injuries in dog attacks? ?A neighbor’s dog bit me and caused several serious injuries. How much can I expect from a settlement if I sue the owner? ?Can the owner’s landlord be held accountable when a dog bites me on his property? After a vicious dog bite attack, you need answers to protect yourself and your family. Tennessee previously allowed dog owners to have a “first bite free”, which required a victim to prove that the owner knew that the dog had a dangerous propensity to hurt someone, or had done it before. This rule was unfair to the victims who had never had any reason to be around the dog before and therefore have no idea how vicious the dog might be. Owners would often lie about their dog’s dangerous propensities. This is no longer the law in Tennessee. 2- keep the dog from running at large. • If the attack occurs on the dog owner’s farm, home, driveway or other noncommercial property owned, rented or leased by the dog owner, or occupied by the dog owner with his permission, unless you prove that the owner knew or should have known of the dog’s dangerous propensities. • If the dog is confined in an enclosure and contained, the owner will not be liable for any injuries. 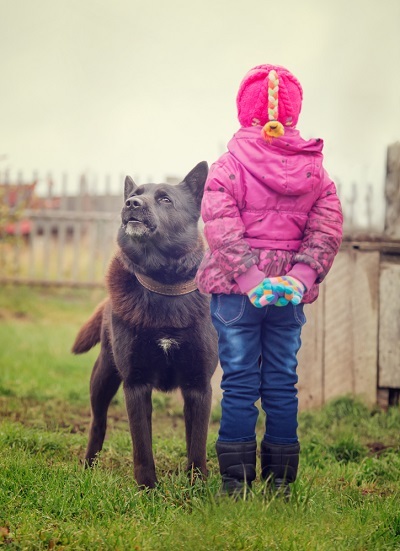 There is also an important “residential exception” which does not hold a dog owner liable to a person that is upon the residence or farm property of the dog owner, unless you can prove that the dog owner knew of the dog’s dangerous propensities. This situation requires you to prove, as the prior rule of law required, that the owner knew his dog was vicious and prone to be aggressive and/or attack. Tennessee is the only State in our nation which contains this residential exception. Since well over half of the dog bite injuries occur on the premises of the owner, this is an important distinction. Be very careful if you are on the property of a dog owner of any dog you do not know. Ask the owner if the dog has ever bitten anyone before. Children are especially vulnerable to attack and oftentimes suffer the most horrific injuries from dog bites. If you are on the premises of the dog owner (i.e. home, farm, owner’s driveway, etc..) and get bitten, you will have the legal duty to prove that the owner knew the dog had “dangerous propensities.” This means that the dog had a prior history of aggression or viciousness that has been witnessed by someone, or the owner has admitted to. Owners rarely admit to these type of things, so you have to find out what the owner knows through their own friends and neighbors. This is not always an easy task, especially for owners you do not know very well. You only have one year (unless you are a minor) to file your claim. After that, you are out of luck. As a general rule, I don’t let my children go near dogs of certain breeds. Period. Many will say that is overkill, but heck, they are my kids, and I am responsible for their well being. Seeing the types of calamity and horrific injuries that I regularly see, it usually involves 3 main breeds. You can probably guess what they are. If you or a loved one has ever been hurt in a dog bite case, contact our Nashville dog bite lawyers anytime at 615-807-7900. We will provide you with a free consultation and answer any questions you may have. We advance all costs on cases we accept (this means no out of pocket costs for you), and we charge no fee if there is no recovery. Time is your enemy in cases like this. Witnesses’ memories fade… Evidence disappears. If you or your child has been bitten, do not delay, call John today.